The Los Angeles Clippers promote responsible drinking and positive fan behavior at STAPLES Center. The Clippers Fan Code of Conduct and the details of the Clippers alcohol management plan that appear below ensure that fans have a safe and fun experience. Guests will be able to communicate instantly, discreetly and directly with STAPLES Center’s security command center if assistance is needed in dealing with an unruly fan, a cleanup in their section or any issues and concerns that a guest may feel the need to report. The In Stadium Solutions (24/7) text system number is present throughout the venue for fans to access. STAPLES Center arena staff has been trained to intervene when deemed necessary and to use their best discretion to help ensure that guests who ignore the Code of Conduct do not interfere with other guests’ ability to enjoy an event. Guests who violate the Code of Conduct may be subject to ejection without refund and, to the extent their conduct constitutes a violation of law, may be subject to arrest. Season ticket holders may also be subject to having their season subscription revoked. We thank you for your cooperation. 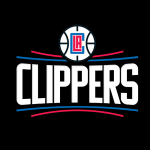 The Los Angeles Clippers offer fans the Bud Light Good Sport Designated Driver program at all Clippers games at STAPLES Center. STAPLES Center has partnered with Levy Restaurants, ACE Beverage Distributing, and Anheuser-Busch, along with our four tenants the Los Angeles Kings, Los Angeles Lakers, Los Angeles Clippers and Los Angeles Sparks in offering the Good Sport program at most major sporting events. The objective of the Good Sport program is to create, implement, and maintain effective alcohol awareness programs and policies for STAPLES Center. Good Sport is a pledge to our guests that we intend to maintain an enjoyable fan experience and atmosphere during all events held at STAPLES Center. Where is the Good Sport kiosk located? The Good Sport kiosk will be located either next to or across from our Main Guest Services across from Aisle 12 on the Main Concourse. What is the incentive to sign-up for Good Sport? Please call 213-742-7FAN or ask any Guest Services Team Member at an event for assistance. STAPLES Center and Levy Restaurants look forward to seeing you this season and we hope by providing the Good Sport program we can enhance your fan experience at an upcoming STAPLES Center event. Please feel free to contact us at the number above with any questions or concerns regarding the Good Sport program at STAPLES Center.